Mabo Media, an award-winning PPC specialist, has committed the company’s future to Albert North in a new lease, allowing the team’s ambitious growth plans to become reality. “Albert North is the ideal next step for Mabo Media on our journey to become the best and biggest PPC agency in the UK” said MD Lee Mableson, who set up the company just over 5 years ago. The 30 plus strong team have relocated to 16-26 Albert Road, occupying 6,000 sq ft of newly refurbished space. Made up of a collection of 10 eclectic buildings on Albert Road, Albert North boasts a mix of modern studio spaces for small to large businesses, as well as food and drink outlets and chic city living apartments on the upper floors. The revitalisation of this prime city centre location has the design to complement Middlesbrough’s existing digital and creative quarter and the Boho Zone, Albert North is being welcomed by many businesses who are looking for modern, flexible office space to meet their growing needs. 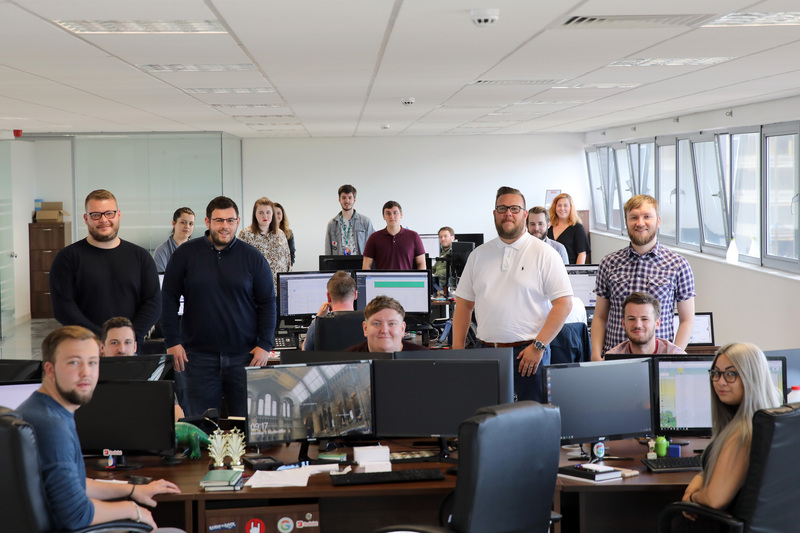 “We were looking for a new office space which would be flexible with our rapid growth, as well as having the modern facilities that people have come to expect in the digital sector. Coupled with the city centre location and excellent transport links to other major digital hotspots such as Leeds and Manchester, Albert North was the perfect solution for us” added Lee. “We’re thrilled to welcome one of Teesside’s biggest digital success stories to Albert North” said Mark Hill, Commercial Property Director at Jomast. “Our aim with Albert North is to bring together passionate people and inspiring businesses into one exciting business community” he added. The Albert North scheme includes a number of perks for businesses, including high-speed broadband, rent and rate incentives, free public health initiatives for all staff and a town centre loyalty card with exclusive discounts and incentives. The multi-million pound regeneration project is being driven by local property developers Jomast and Middlesbrough Council. “Albert North allows businesses of all sizes, including the town’s prominent creative and digital sector, to remain in close proximity to each other, which in turn will encourage a collaborative environment for these businesses to thrive” added Michelle McPhee, City Centre Manager at Middlesbrough Council.